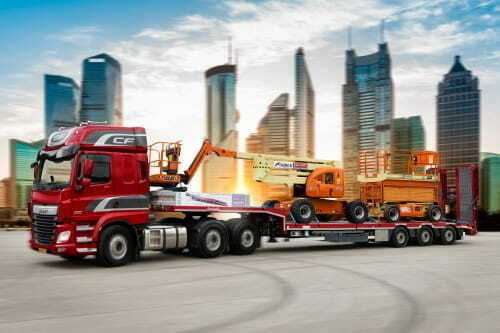 The Aertssen Group consists of three large divisions: construction & intra, cranes and transport. One of the projects Aertssen is working on in Qatar is the new orbital highway project. This expressway connects the industrial area of Ras Laffan with the new Hamad port area. The new ring road is approximately 200 kilometres long and has 14 traffic lanes, 4 of which are separate and for freight traffic only. 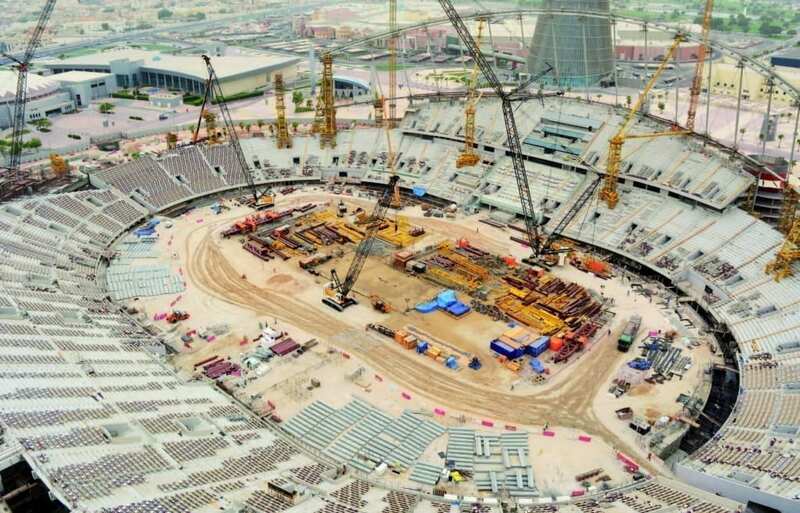 The Khalifa Stadium is currently being renovated and extended for the World Athletics Championships in 2019 and the football World Cup in 2022. Several crawler cranes from the Aertssen fleet are at work here. Sam Aertssen: “We have been active in the Middle East for about ten years already and at the beginning of 2016 we also started with abnormal transport. At the moment we have eight combinations running. The work is so extensive that our vehicles are often in use for most of the day and night. 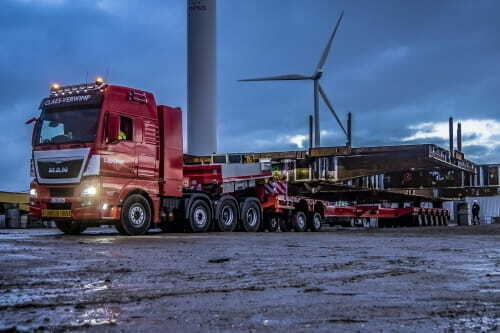 The 7-axle semi low-loader of Nooteboom has already proved itself to be up to the job. With this Nooteboom semi-trailer we transport concrete bridge sections as well as machinery, steel structures, ballast for our cranes and crane bodies. 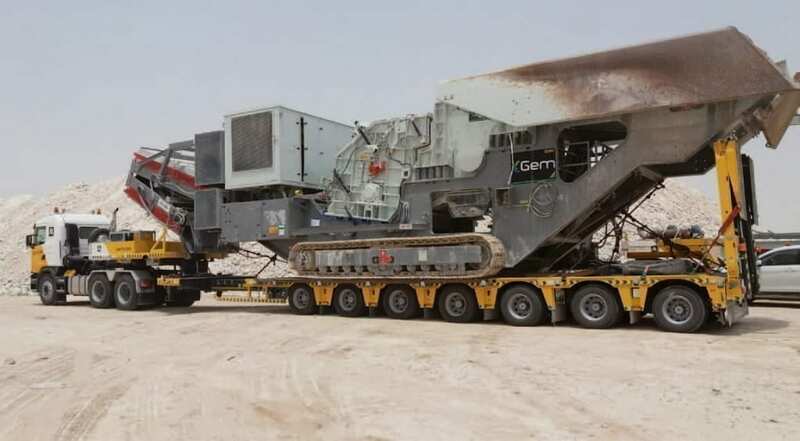 Various divisions of the Aertssen Group are active in Qatar. The Construction & Infra branch has been operating under the name Gulf Earth Moving (GEM) since 2006. GEM specialises in earthmoving. The crane division (since 2011) and the transport division (since 2016) operate under the name Aertssen Machinery Services (AMS). The various divisions of Aertssen are working on several projects in Qatar, including the stadiums for the football World Cup in 2022, the new Metro, the Hamad Port and other infrastructure and steel construction projects. In 2006 Qatar was the first international branch for Aertssen, by now the group is also active in the United Arab Emirates, Oman and Kuwait. From those branches Aertssen operates in several other countries in the Middle East. The strength of Aertssen lies in ensuring there is good cooperation and communication between the various divisions. This has helped the company to grow in Belgium and this formula seems to work in Qatar too. It’s the workforce of Aertssen who, with their expertise and enthusiasm, contribute to achieving excellent results. In order to support further growth, in Belgium and several other countries, the Aertssen Group is looking for new personnel. After all, the Aertssen motto is: People, Power and Passion to build on.